A-HOTEL.com - Luxury and cheap accommodation in Stavropol'skaya, Russia. 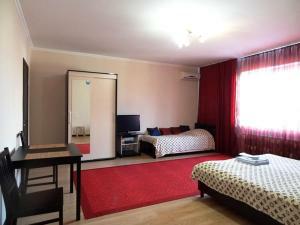 Prices and hotel, apartment booking in Stavropol'skaya and surrounding. Guest House Aghat is located in Goryachiy Klyuch. Both private parking and free WiFi are available at this property. Avanti GK. Дом на Урусова 32. Горячий ключ. Курортная зона. Avanti GK. Дом на Урусова 32. Located in Goryachiy Klyuch, Guest House MilaDom provides a garden and free WiFi. All rooms boast a TV with cable channels and a private bathroom.